Located in Andersonville, Bar Roma serves Italian cuisine from renowned Chef Alfredo Ramos along with craft cocktails and wine in a fun, energetic space. It takes more than exquisite cooking to make a memorable meal. We at Bar Roma believe a vibrant atmosphere in the right location, personal and attentive service and great company are what separates a delicious dinner from an unforgettable experience. A welcome addition to Andersonville’s ever-evolving dining scene. Bar Roma specializes in meatballs, house made pasta and wood-fired dishes highlighting the cuisine of Rome, Italy. Our spacious bar welcomes guests for creative, Italian-focused craft cocktails and notable wines curated by local industry innovators. In addition to dinner nightly, we offer a bottomless brunch on Sundays and on or offsite catering. Gift cards are now available at Bar Roma! Warm bread pudding, dark chocolate, tart cherry, vanilla gelato, salted caramel sauce. HOURS OF SERVICE: SU-T 5p - 9p; TH 5p-10p; F & SA 5p - 11p. Call (773) 942-7572 during business hours, or book online with Reserve. Reservations for parties of 6 or more is required by call. Bar Roma is the brainchild of Julia Zhu, a retired Senior Vice President of Commercial Banking Group at Citibank, who was a one-time partner at Oysy Sushi in Chicago. Born in Shanghai, China, Julia began her career in Chicago as a news anchor and reporter for Mid-American Chinese TV. Julia is known as a renaissance woman. She is a film/TV producer, and an actress/model represented by Stewart Talent in Chicago. She was the first Asian-American to serve on the Commission on the Status of Women in Illinois, and was named as one of 100 Women Making Differences in 1999 by Today’s Chicago Woman magazine. She received the Silver Hugo Award as Executive Producer for the feature documentary “Second Spring” at the Chicago International Film Festival 2008. She served on the Board of Directors of the Chicago Public Library by the appointments of Mayors Daley and Emanuel. It has been her dream to open a neighborhood place with good food and service, and affordable prices. People always ask her why a Chinese lady opened an Italian restaurant - the answer is simple “It’s in my DNA.” She loves telling customers about the Chinese origins of spaghetti, and how Marco Polo brought it back to Italy. 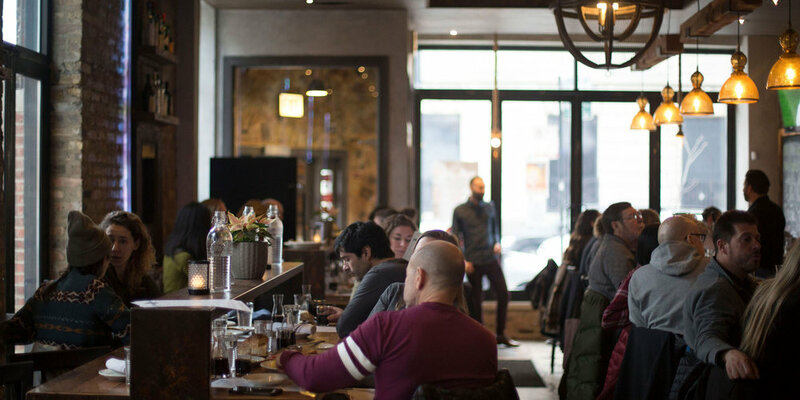 As the Managing Partner of Bar Roma, she enjoys working with a team of talented people, and feels grateful that Bar Roma has been embraced by the Andersonville neighborhood since its opening day. Chef Alfredo Ramos graduated from the Culinary School of Kendall College with a Bachelors degree in International Culinary Arts. Ramos was a teaching assistant at Kendall in the fine dining restaurant and prepared food for wine classes taught by Master Sommelier Bob Bansberg. He worked at Maggiano’s Little Italy and helped open its location in Schaumburg. At age 21, young talented Alfredo became the Chef de Cuisine at highly acclaimed Printer’s Row Restaurant in Chicago. Executive Chef and owner Michael Foley was a great mentor to Alfredo, and sent Alfredo to France, Napa Valley, N.Y. and Boston to explore new great restaurants. While at Printer’s Row, Alfredo competed twice in the Bocuse d’Or World Culinary Competition. Ramos was nominated a top 10 sous chef in the nation by Bertolli Olive Oil. 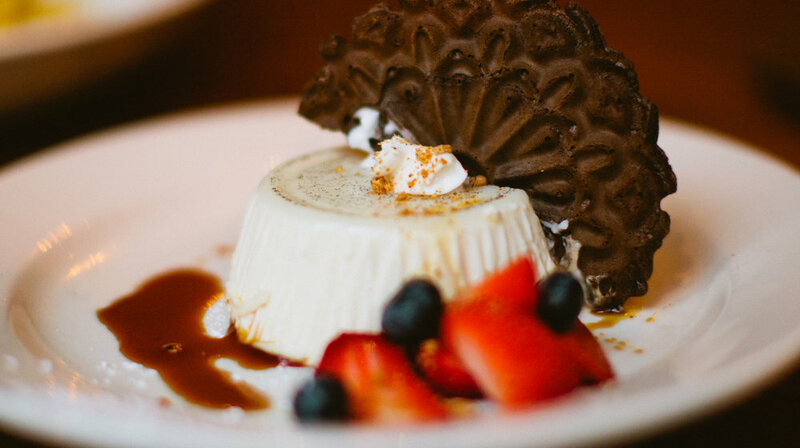 After Printer’s Row, Alfredo was the Executive Chef at Chicago restaurants Union League Club, Gioco, Room 21, Angelina's Ristorante and Labriola. 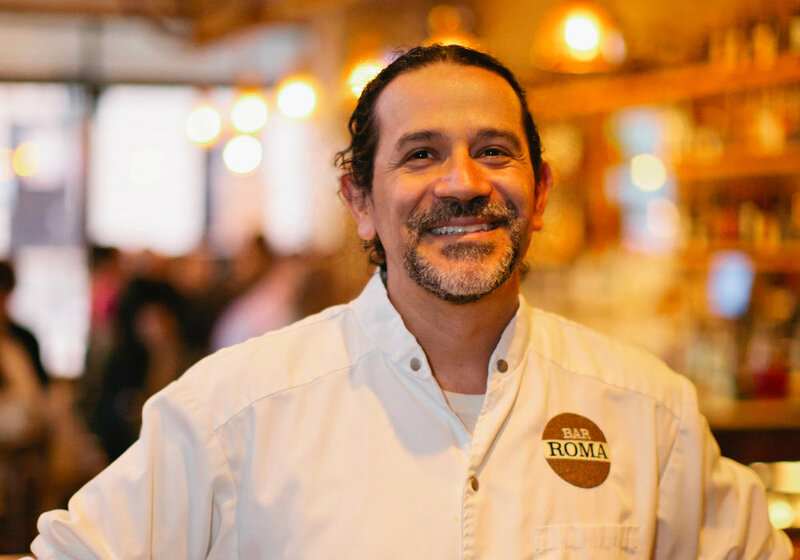 In 2016, Chef Ramos helped open Bar Roma in Andersonville with owners Julia Zhu and Howard Davis. 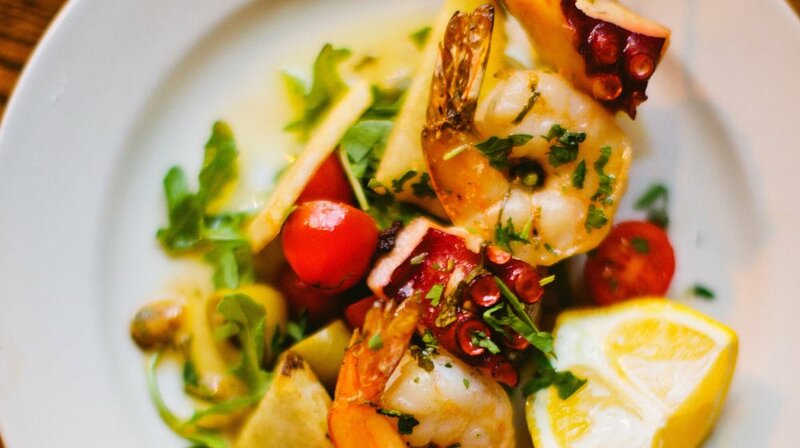 It was an instant success named as a “Must Try” Italian restaurant in Chicago by Zagat. 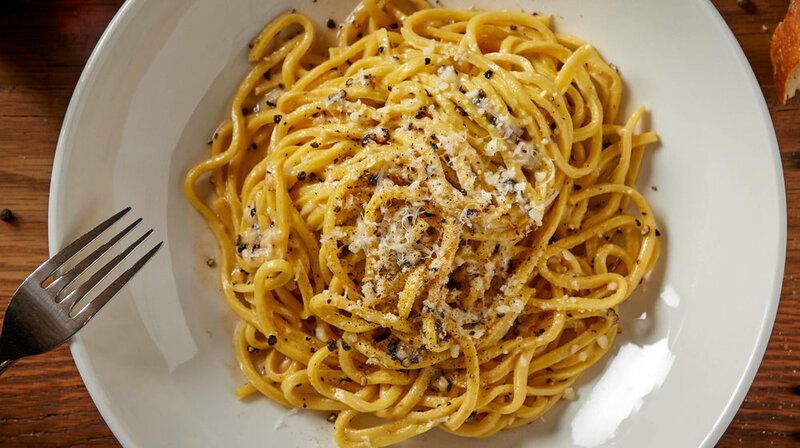 His menu specializes in house-made pastas, a variety of meatballs, and other Roman inspired dishes. Chef Ramos showcases unique and elevated seasonal menus throughout the year at Bar Roma. Devin, beverage director at Bar Roma grew up in Wisconsin. Devin’s introduction to the world of hospitality began as a teenage cook and bar back in some of Milwaukee’s longest running bars. There was an immediate connection to the camaraderie with not only the workplace but the patrons. Arizona State came next. In between classes, a more serious passion for the culinary arts grew through a plethora of positions in both the front and back of house. From sous chef to bartender and every job in between, a love for quality ingredients and simple execution developed. Serving wine and classic cocktails alongside fresh, authentic food set the wheels in motion. When Devin and his future wife moved to Chicago in 2009 he decided to focus on bartending to hone the skills of combining fresh ingredients with quality spirits. After many years at Michelin-rated restaurants on the North Side, Devin joined the opening team of Bar Roma as the Beverage Director, curating their first cocktail program and every one since. Though the menu always changes with the season there are staples you can always count on, as well as house made Limoncello- every batch made by Devin himself!